corner as per vastu compass. some times we thinks that a corner is a our walls corner but in vastu shastra it is not. 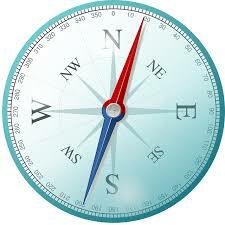 we should use our compass to get exact directions and corners. in a property 0 degree is our north direction and 45 degree is our north-east ie. ishaan kon. from 22.5 to 45 degree it is called north-east north and 45 to 67.5 north-east-east. east is in 90 degree. so when u talk to fengshui or vastu expert and he suggest you to place a thing in north-east-north than it means you should place article in between 22.5 to 45 degree. ok, let discus other direction. south-east is in 135 and south in 180 degree. south-west in 225 and west is in 270 degree. north-west also called vayvya kon is in 315 degree. after knowing degrees you should able to understand and imply a vastu or feng shui experts recommendation.